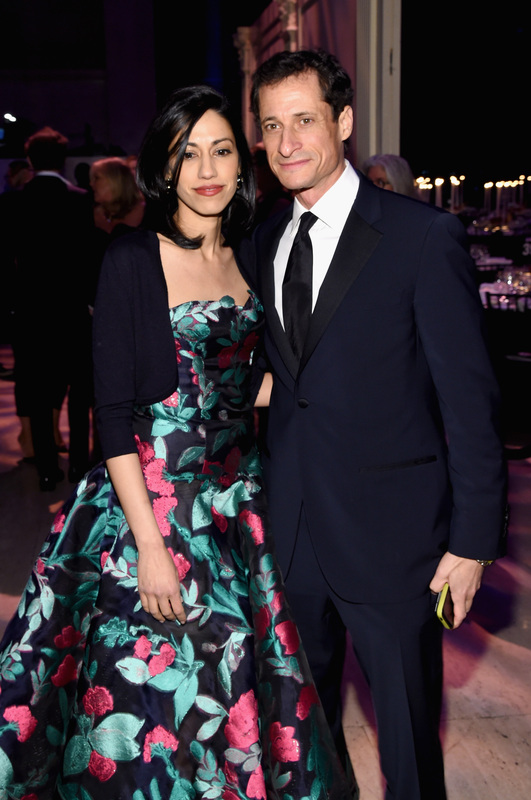 After yet another sexting scandal involving the former politician, Huma Abedin and Anthony Weiner are separating, The New York Times reported. This is the third such scandal in five years for the 51-year-old stay-at-home dad who resigned from Congress in 2011 following his first lewd controversy. On Aug. 28, The New York Post leaked photos of a conversation, reportedly between Weiner and an unknown woman, which appears to have started back in January 2015 and continued through to early August 2016. Weiner and the woman, who spoke to The Post on the condition of anonymity, reportedly exchanged various photos and racy messages over the months. The Post described the woman as "a self-avowed supporter of Donald Trump and the National Rifle Association who’s used Twitter to bash both President Obama and Clinton." When the messages were leaked by The Post, Weiner hadn't admitted to engaging in this conversation, but he admitted to the publication that he and this anonymous woman “have been friends for some time.” I'm not sure what type of "friends" send half-naked photos and sexual messages to one another, but hey, do your thing, Weiner. As this is the third sexting scandal Weiner has been publicly involved in, it came as no surprise that Abedin released an official statement announcing the couple's separation. And, really, I think it was the best decision she could have made for herself and her family. After long and painful consideration and work on my marriage, I have made the decision to separate from my husband. Anthony and I remain devoted to doing what's best for our son, who is the light of our life. During this difficult time, I ask for respect for our privacy. On the eve of this announcement, Weiner deleted his Twitter account, because he was probably tired of it ruining his life due to his inability to control himself on the site. Weiner's conversation with this woman included various photos in which he is seen only wearing white boxer briefs. One of the photos disturbingly features his four-year-old son Jordan lying on the bed next to him. After yet another scandal, and now this separation announcement, it's likely that Weiner won't seek public office again any time soon. And after his failed attempts at rehabilitation and his empty public apologies following the previous two scandals, it won't be a surprise if this becomes a permanent separation for himself and Abedin.